Being good kept you safe, but it also kept you small. The question is, do you want to be good? Or do you want to feel free? I'm Iris Rankin. Intuitive coach, soulful questioner and wild adventurer, here to find the balance between discipline and delicious relaxation. I help you get back in touch with you soul’s instinctual nature. I am a leader in reclaiming wildness and personal expression, working with soft-hearted humans to grant themselves permission to show up untamed and be seen exactly as they want in their lives. Both my personal and professional work are all about radical transformation—and I can help facilitate big, deep change for you or for your group. If you're in need of consistent clarity and support, give yourself dedicated time to explore what's next and how to put it all into action. And if you've been wanting to make big changes that support your long term desires, your deep needs, what you're working toward and an action plan that feels good in your bones, you might want to consider the support of a coach by your side. Together we can examine (and work to answer) just about anything you have swimming around your psyche that's ready to be addressed. If you're feeling like it's time for a shift learn more about my approach to coaching and sign up for a session. Maybe you're craving something beyond a regular coaching commitment right now, and if so a personal retreat might be exactly what you're looking for. 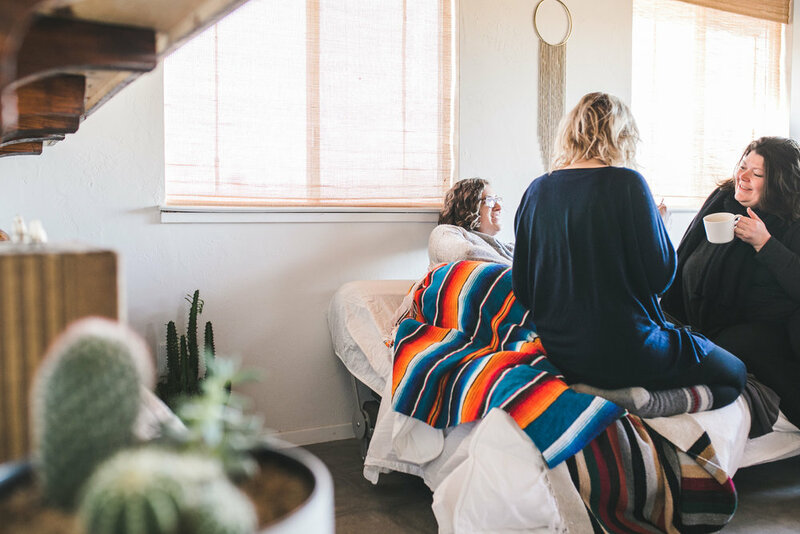 It has all the flavors of one-on-one coaching together, with the added connection with sacred land, movement in your body, and both deep silence and integrated coaching work. Guided meditation, hot springs, journaling, private yoga class, hiking. Desert, mountains, ocean. Cabin, yurt, treehouse. You choose the location and activities, and together we create the conditions to completely support you and your wildness. Maybe you already have a whole retreat in mind. You want to lead a group retreat—but you're not quite sure where to start or how all of the details will get taken care of. Consider handing over logistics to someone who has done this before (me!) and I'll help cover everything from tracking expenses to activity planning to on-site support. With the details taken care of, both you and your participants will be able to settle into the relaxation and transformation you have in mind for your getaway. I can even help source phenomenally magic activities for your retreat.